18+. New customers only. Minimum deposit £10. 35x bonus wagering requirement applies. Bonus expires 30 days after being credited. T&Cs apply. Unibet Casino is owned by Unibet Group Plc and has been in operation since 1997. The casino offers a list of 500 impressive games where the instant play version runs on Net Entertainment software, while the downloadable software has Microgaming powered games. Players can enjoy classic table games, traditional card games, a variety of reel slots and video slots, plus a small selection of video poker games. Slots are the casino’s specialty, with exciting titles like Arabian Nights, Fishy Fortune and Vikings Treasure offering endless jackpot action. There are even some Progressive Jackpots available for extra-large wins! 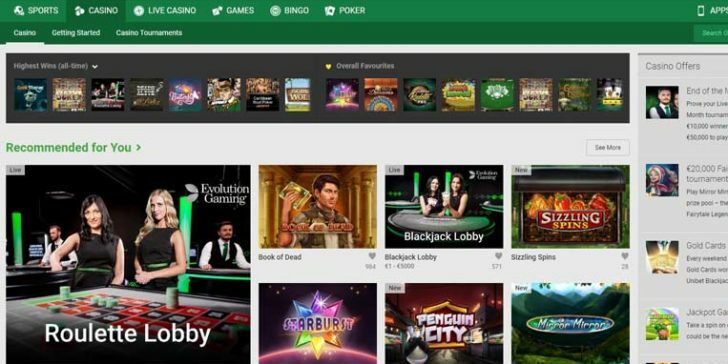 Unibet was originally and primarily a sportsbook, so the promotions and bonuses offered at the casino portion of their site are fairly average. All new players, and existing Unibet members who are new to the casino, can grab a 200% match bonus up to £200 on first deposit (18+. New customers only. Minimum deposit £10. 35x bonus wagering requirement applies. Bonus expires 30 days after being credited. T&Cs apply). The site also runs a Player’s Club, which is a basic point-based loyalty program that helps members earn a little cash back on their wagers. At Unibet, we are committed to protecting and respecting your privacy and maintaining the confidence and trust of our customers. This Privacy Notice explains how and why your personal information is collected, why it is collected and how it is kept secure. Unibet is a brand of Kindred Group. Kindred is listed on the Nasdaq OMX Nordic Exchange in Stockholm and is one of the largest listed online gambling operators in the European market. Founded in 1997, it has substantial expertise in the area of online gambling and is a leader in providing innovative solutions focusing on the protection of customers, increased transparency and a safer safe and secure player environment. You can find more information at www.kindredgroup.com Kindred operates across different markets and jurisdictions, and has in its portfolio the following brands: Unibet, Bingo.com, Storspiller, Bohemia Casino, MariaCasino, 32Red, RoxyPalace, Vlad Cazino, iGame, Casinohuone, Pokerihuone, Bingohuone, Kolikkopelit. 3 How can you get in touch? There are various ways you can contact us. For general queries do not hesitate to get in touch with our Customer Service team via phone, email or live chat - please see our Contact us page. If you have specific questions regarding your personal information or how we use it, please contact our Data Protection Officer directly by email ([email protected]). 4 What types of personal information do we collect? Recording phone calls – we may monitor or record phone calls with you. We might do this to check that we have carried out your instructions correctly; to resolve queries or issues; for regulatory purposes; to help improve our quality of service; to help us train our staff; or to help detect or prevent fraud or other crimes. Where we provide personalised services, we may use third party data about you, for example, your Twitter or Facebook feeds, to get to know you better and to provide more effective personalisation. Data received from our business partners and from other organisations, such as specialist companies providing verification services, credit reference agencies, and fraud prevention agencies. Information about third partiesIf you give us personal information about someone else (for example via a Refer a Friend scheme) then you should not do so without their permission. Where information is provided by you about someone else, or someone else discloses information about you, it may be added to any personal information that is already held by us and it will be used in the ways described in this Privacy Notice. This list of personal data types collected by Kindred is not exhaustive and further information may be requested from you when Kindred considers it fair and necessary to do so.Special categories of dataPersonal data collected by Kindred may include so called “special categories of data”, such as data revealing health (responsible gambling related). We have in place additional measures to protect your sensitive personal data and its confidentiality. 5 Why do we collect your Personal Data and on what basis? to assess betting risk - when you make a bet, an automated system may be used to assess the risk connected to your bet, in accordance with our Betting Rules. It is a system widely used by the betting operators to help make fair and informed decisions on betting. Betting scoring takes account of information you provide (both, at registration and through your use of our services). If your bet has been rejected or limited, you have the right to ask for a manual assessment by our traders. customer modelling, statistical and trend analysis, with the aim of developing and improving products and services. to deter, prevent, or detect any activities conducted in breach of the Kindred T&Cs. for analysis of the Website traffic, so as to allow Kindred to make suitable improvements. More information can be found in our Cookies Policy. 7 When do we share your personal information? 8 Do we transfer your data outside the EEA? Your consent, or another legal basis on which we are entitled to make the transfer. 9 How long will Unibet keep my data? we process your information for our legitimate business interests but you object and while we verify the grounds for continued processing. risk assessment connected to your bet, as more particularly explained in section 5A. when it is based on your explicit consent. Kindred is committed to protecting the personal information you entrust to us. We take all reasonable steps to ensure that all information collected through our Sites is treated securely and in line with this Policy and strict data protection standards. Accordingly, we have adopted robust procedures and technologies to protect your data from unauthorised access and improper use. After logging in all information sent to and from the Kindred site is encrypted using 128-bit Secure Socket Layer (SSL) technology. The SSL certificate used is issued and verified by Trustwave, click on the image for more information. Your credit card details are encrypted and sent only once over the Internet to Kindred. It is then stored encrypted in Kindred's secure systems. Kindred is dedicated to protecting our customers confidential information and, as part of doing so, Kindred is certified towards the Payment Card Industries Data Security Standard. The security of Kindred’s systems and applications are tested several times per year by third-party security experts. Furthermore Kindred has an Intrusion Detection System that monitors all network traffic 24/7 for signs of attacks or intrusions. Kindred has a dedicated fraud department and advanced systems in place to detect and prevent suspicious activity, to ensure that Kindred’s website remains a secure playing-field. Any account involved in suspicious activity will be suspended and investigated to the fullest extent. Should you as user have any doubts about the activity on your account, such as unrecognized transactions in the transaction history or surprising changes in the balance, please contact us immediately. If you wish to raise a complaint on how we have handled your personal data, you can contact us to have the matter investigated by emailing [email protected] If you are not satisfied with our response or believe we are processing your personal data not in accordance with the law you can complain to our lead data protection authority, the Office of the Information and Data Protection Commissioner (IDPC) or your national data protection regulator. This Privacy Notice may be updated from time to time to reflect changes in the way we work or the way our work is regulated - so you may wish to check it each time you submit personal information to us. The date of the most recent revisions will appear on this page. If you do not agree to these changes, please do not continue to submit personal information to Kindred or use Kindred services in any way. Otherwise, by continuing to do this, you will be deemed to have accepted the changes to the Privacy Notice. You can also delete your Kindred account at any time. If significant changes are made to the Privacy Notice, for instance affecting how we would like to use your personal information, we will provide a more prominent notice (including, for certain services, notification of Privacy Notice changes by email). This is version 1.2 of the Unibet Privacy Notice, last updated on 11/06/2018. Win Money This March on Unibet Casino Slots: A Share of €150,000 Awaits You! Win Your Share of €3,750 with Unibet Gold Cards! Win Millions of Euros on Unibet Casino’s Progressive Jackpot Slots! 2019 Slot Tournament: Win Your Share of €30,000 at Unibet Casino! Win Your Share of €25,000 New Year Cash Prizes at Unibet Casino! 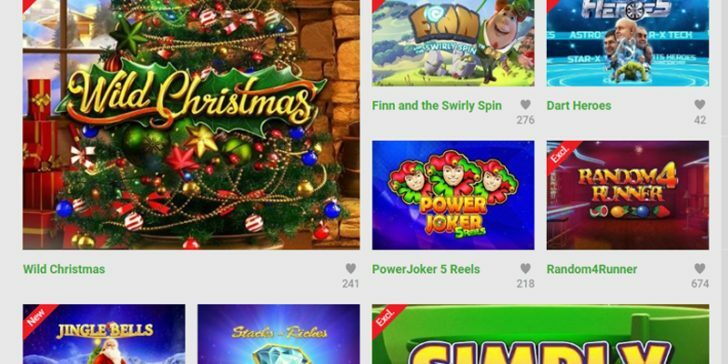 Play at Unibet Casino and Win Money for Christmas! Win Money Every Week in November! Win a Trip to Denmark’s Most Haunted Castle Thanks to Unibet Casino! 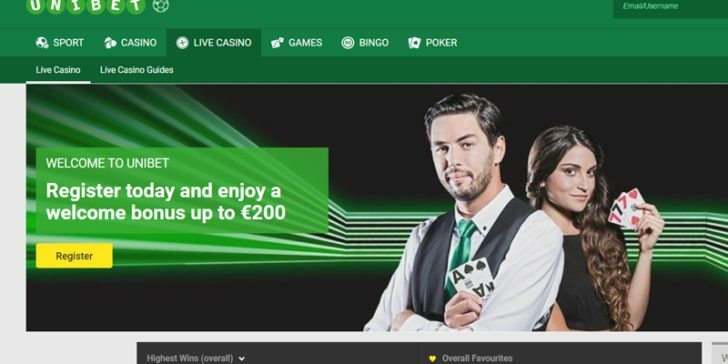 Win Cash Online – 100 Player Will Share €25,000 at Unibet Casino! End of Month Promo at Unibet Casino Gives Away €50,000! Bet on the World’s Biggest Lotteries Online with Unibet! 25 Unibet Casino Players Will Win a Thousand Pounds! Win World Cup Free Bets Every Time Your Selected Champions Wins a Match! Unibet Casino’s Exclusive Slot Tournament Gives Away €20,000! Earn Weekly Online Casino Cash Prizes at Unibet Casino! Unibet Casino’s Online Slot Tournament Offers €20,000 Prize Pot! Win a Ford Mustang for Christmas Thanks to Unibet Casino! Earn Some Extra Cash Thanks to Unibet Casino’s Daily Slot Tournaments! An Exclusive Online Slot Tournament is Now Available at Unibet Casino! Members of Unibet Casino can Win a Free Trip to the Singapore Grand Prix! Free iPhones and iPads are Being Given Away at Unibet Casino! Earn up to £2,500 in One Spin with the St. Patrick’s Day Special at Unibet Casino! Test Your St. Patrick’s Day Luck Playing Online Roulette at Unibet Casino! Win Big On Casino Slots Thanks To Unibet Casino’s €20,000 Tournament! The Casino Prize Advent Calendar at Unibet Casino has Everyone Talking! Take Part in Unibet’s New Big Win Tournament! Get Rewards Every Day for a Week with the Spring Calendar at Unibet Casino!